I created my own website for two reasons – to post information and blogs on various topics and to act as my online resume and portfolio. I never thought I’d have to deal with major providers such as Charter, Comcast or Verizon just to ensure that you could read it. Creating content for the web requires three components – content, the internet itself, and access to the internet. 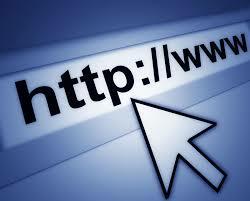 Your ability to access all of the legal content on the internet comes by way of your internet service provider (ISP). But in a federal appeals court yesterday (January 14, 2014), a judge made a ruling in Verizon vs. FCC that has the potential to greatly interfere with your ability to access the web. Currently, all access to all legal content on the internet is protected by the Federal Communications Commission, and specifically their 2010 Open Internet Order. In that Order, the FCC told ISPs that they could not block legal content, applications, devices, or competitive video/voice services; they could not discriminate against legal traffic; and they must make public their efforts to keep these regulations in place. This “open access” to the internet is better known as net neutrality. It is the idea that the internet, and its content, should all be given equal treatment from companies who provide access – equal download speeds, equal streaming and loading speeds, etc. Essentially, given that the servers are equal, your Netflix.com should load just as quickly as your YouTube.com. Telecom and cable companies have been fighting net neutrality for years, as they see it as interfering with their ability to make a profit. Yesterday’s ruling though dealt net neutrality a huge blow. In Verizon vs. FCC, Verizon argued against the 2010 Open Internet Order on the basis of 1st Amendment and 5th Amendment violations. The FCC’s regulation, Verizon argued, impeded their free speech by interfering with their ability to edit the content of their service, and that the government, in doing so, is essentially seizing property the company paid for. It’s all a little confusing, but the bottom line is that Verizon did not like the FCC’s regulations because they feel the FCC is interfering with their ability to sell access to the internet. Verizon emerged the winner yesterday. The ruling struck down the first two components of the 2010 Open Internet Order (blocking content, discriminating between traffic), but kept the reporting clause in place. What does this mean to the consumer? This ruling opens the door to some dangerous possibilities and realities. The reality is that AT&T has already announced “Sponsored Data” which will allow companies to pay for data usage on their websites instead of their customers exceeding data limits. Companies have already demonstrated their ability to “throttle” users based on their data usage, but it is now possible for ISPs to throttle individual websites based on competition, payment, or usage. ISPs could also completely block access to certain websites and companies that they see as competition (Comcast owns NBC for instance, they theoretically could block all CBS/ABC streaming). ISPs also have the opportunity to charge businesses for faster website speeds – imagine Amazon loading in milliseconds while eBay loading in 3 seconds. And it is entirely possible that, without net neutrality, ISPs pick a selection of websites and “bundle” them together, giving us a cable television version of the internet. These models all have the potential to kill smaller industry websites that try and compete with larger companies. Smaller record labels may have to pay a lot of money, at least to them, in order to have customers experience the same speed on their website as on, say Sony’s website. Or a start-up competitor to Comcast that focuses solely on streaming services (everyone’s dream right now), you can bet that Comcast could, and would, block access to that website on their servers. In a broad sense, this ruling allows ISPs, corporations competing with each other, to pick winners and losers. The problem is, those winners and losers aren’t products or programs, they are the billions of websites created by people like you and me, big companies, small companies, artists, entrepreneurs, Girl Scout troops, churches, governments, news outlets, literally everything. What the ruling does do is allow for huge conglomerate ISPs, many of which have regional monopolies, to create other sources of revenues – sponsorship packages to businesses, a two-tiered internet with slow and fast websites, and countless other options. What are the options? The FCC can appeal the ruling again, but it has two other options that, while are not immediate, do provide more leverage in protecting the consumer. The FCC could sit and wait. Since companies still have to report on their programs and procedures, the FCC can monitor each ISP and go after them when they create a program that damages the public. This would be a much more public inquisition than a simple appeal and would allow for grass roots and political support to build, giving the FCC more ammunition to go after the ISPs. The other option is to reclassify ISPs. Currently, companies such as Comcast, Charter, Verizon, etc, are classified as “Information Services”. If they were to be reclassified as “Title II Common Carriers”, they would be in the same boat as telephone and utility providers – subject to more stringent FCC rules and regulations, and something the ISPs would be vehemently against. But the fact is that if we let huge companies control access to the internet, something which is well on its way to being a “public good” like power and phone service, our ability to create, share and speak out could be severely hindered. Net neutrality is essential to innovation, freedom of speech, and our ability to find the nearest local pizza place, we need to protect it.